Today’s medical technology breakthroughs continue to amaze. Using experimental procedures, radical treatments and new pharmaceutical drugs, doctors can treat patients like never before. Despite being armed with all this knowledge and options for treatment, some people are predisposed to illness by their genetics. Sometimes, that’s just the hand you’re dealt. I recently read the book The Language of Life: DNA and the Revolution in Personalized Medicine by Francis S. Collins. It’s one of the best nonfiction books I’ve read, as it’s made me appreciate more than ever the connection between genetics and illness. Those with a family history of a particular illness are more likely to have the same disease later in life than those without such family history. One of Collins’ major suggestions at the end of the book is that regardless of family history, you should take an opportunity to explore what disorders may be passed down to you. This is easier today than ever, thanks to the Internet. 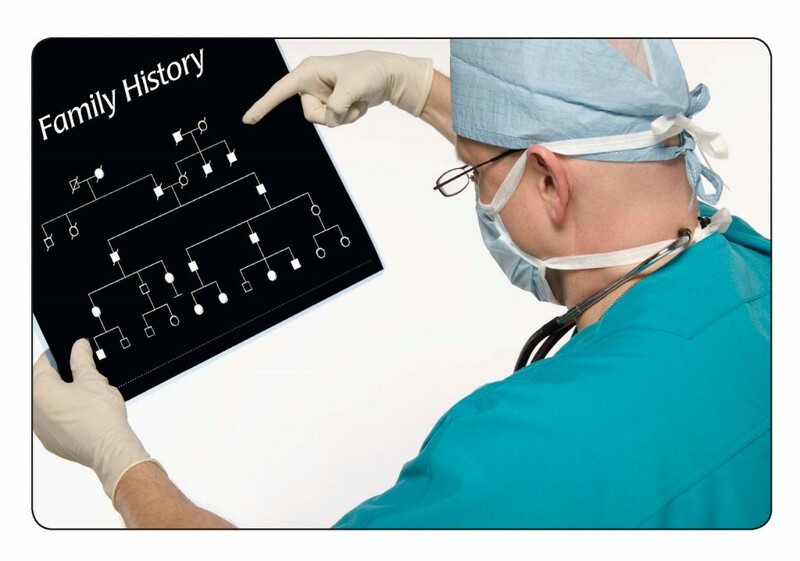 Government websites such as Familyhistory.hhs.gov allow you to collect a family health history, store it online, and share with family members as you see fit. This provides a clear lineage of disease and a way to know what symptoms to watch for in your health. I recently filled this health survey out, starting by asking older relatives about any genetic diseases they knew had been passed down, along with any illness I should be aware of. I only asked immediate family members, but was shocked to learn of a pattern of diseases that follows a lineage straight to me. Of course, I take my personal health as serious as anyone else. I felt good about knowing this information and hope to take steps through diet and activity to prolong any connection to my family’s historical disease trends. But not everyone in my family felt the same way. Just because a web site can help you determine your predisposition to certain disease doesn’t mean everybody wants to know that information. Imagine if you use this site and learn bad news about your family health history. Would you want to know about it? Would you still tell others if the passing of a genetic disorder couldn’t be prevented? The family health history website is an amazing tool and can be used to help prevent a lot of future family pain. However, be sure to talk to your family before you share it with everyone. It is hard to say who may not actually want to know the news you have to share.